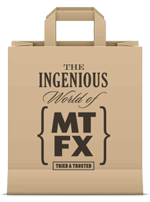 MTFX has one of the largest ranges of streamer launchers available to create fabulous streamer special effects. 30cm Hand Held Disposable Single Shot Streamer Launchers will fire streamers up to 4 metres. 50cm Hand Held Disposable Single Shot Streamer Launchers will fire streamers up to 8 metres. An 80cm Hand Held Disposable Single Shot Streamer Launcher will fire streamers up to 12 metres. Hand held streamer launchers for you to fill with the contents and colour of your choice over and over again. A single shot CO2 fired streamer cannon holds up to 500g confetti per tube and will fire confetti, glitter or streamers 6 – 8 metres. A single shot compressed air, electrically fired streamer cannon, which holds up to 1kg streamer per tube and has a range of up to 8 – 10 metres. A Stadium Shot Streamer Cannon will fire a single shot of streamers up to 30 metres and stadium streamers up to 50 metres.